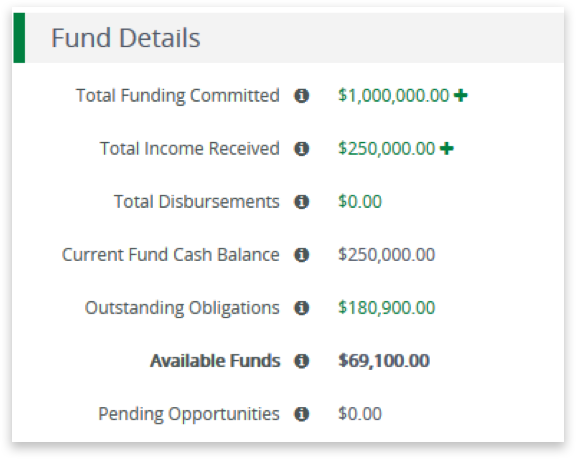 Our most recent update brings continued improvements to the way AmpliFund allows organizations to oversee payments throughout the grant process. This provides more accurate and up-to-date information on current, outstanding, and remaining grant balances. 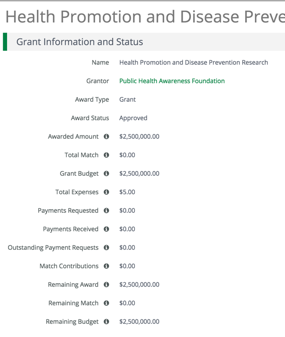 Now funders, recipients, and standalone clients will have greater visibility and traceability into their grant financial data—including expenses and match in period closeout, payment requests through payment authorizations (for the funder), and cash receipts (for the recipient). 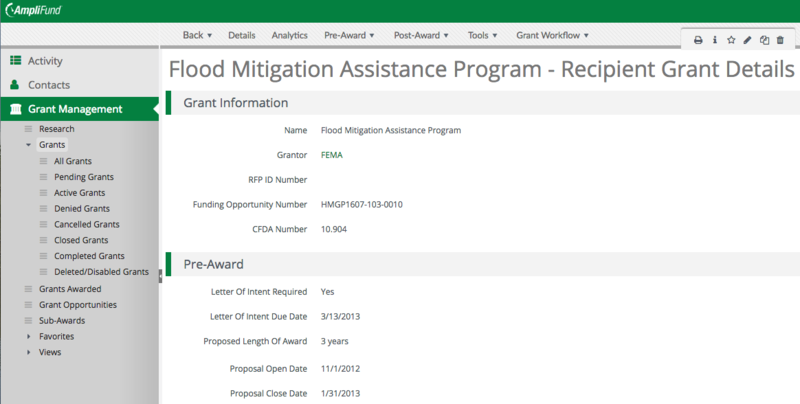 The next time you view your grant or award, you’ll see some of the reorganization we’ve done to the Post-Award tab and Details page. All of your data is still available. We’ve added new menu items in the Post-Award tab to group items together more logically so you can find what you need faster. 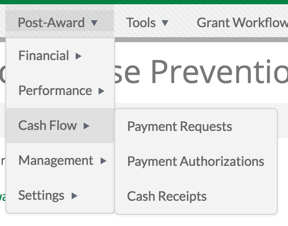 We’ve also added more calculated fields on the Details page that show running totals of key grant balances, such as remaining balances and payments requested and received. Your Details page will also appear shorter than usual, by about fifty percent. That’s because we’ve moved Settings, Reminders, and Risk Configuration to separate pages for better ease of access. You may notice an improvement on your page load times as a result. At the core of this update, we've created an interconnected payment request lifecycle, from period closeout through payments requested, authorized, made, and received. To accomplish this, we’ve linked cash receipts and payment authorizations to payment requests; all of that payment data is captured on the payment request history as well as the grant or award Details page. 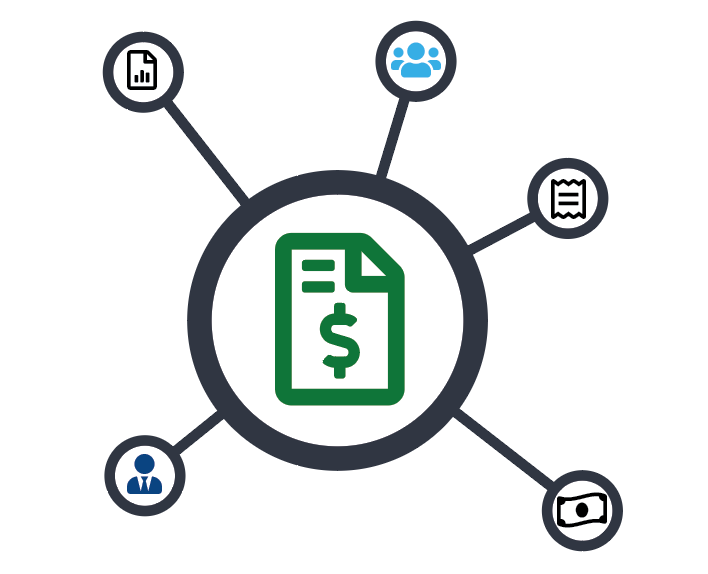 By linking cash receipts and payment authorizations to payment requests, your cash flow is tracked and validated throughout its lifecycle. It also allows the payment request to act as a record of truth between funders and recipients. All updates are live, so get started with these new changes today! For more details, check out our support site for helpful guides and videos.